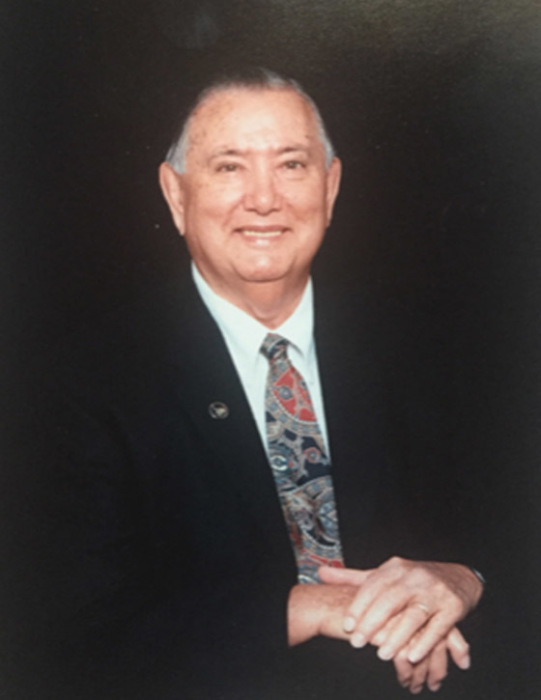 Edward W. Wright 91, of Frankfort, Kentucky passed away Friday, February 1, 2019 at the University of Kentucky Medical Center surrounded by his family. Edward Wilson Wright was born July 27, 1927 in the Midland Community of Muhlenberg County, Kentucky to the late John William and Hattie Mae Richey Wright and was married to the former Elwanda Chenault August 11, 1945 in Bremen, Kentucky. He was a graduate of Kentucky Wesleyan College and Indiana University where he received a Masters Degree and Doctorate Degree of Education in 1972. Edward was an educator in the state of Kentucky for 39 years, serving students in Daviess, Franklin and Hickman Counties. He was a proud World War II Veteran serving in the Pacific Campaign as a Sargent in the US Army. Edward was an active member of the First United Methodist Church in Frankfort, a member of Methodist Men, a member of the Frankfort Kiwanis Club, a member of the American Legion Post 7, a member of Island Lodge # 743 F. & A.M., and a special group, The Capitol Gang. In addition to his parents, Edward was preceded in death by his beloved son, Kenneth Edward Wright and his eight siblings. Survivors include his wife of 73 years, Elwanda Wright; his two daughters, Brenda Stevenson (Eric) of Fort Myers, Florida and Paula Read (Mark) of Lexington, Kentucky; his four grandchildren, Katie Ford, James Franey, Natalie Read, and Matthew Read; and his five great granddaughters, Camila, Khloe, Olivia, Payton, and Brianna. Services will be held at 5:00 P.M. Tuesday, February 5th at the First United Methodist Church, 211 Washington Street, Frankfort with Dr. Phil Hill officiating. Visitation will be from 4-5 pm Tuesday at the church with a reception immediately following. Muster Funeral Homes, Calhoun Chapel is handling the arrangements for the Wright family. In lieu of flowers, the Wright family requests that expressions of sympathy take the form of donation to First United Methodist Church, Building Fund, 211 Washington Street, Frankfort, Kentucky 40601. Share your memories and photos of Edward at musterfuneralhomes.com.